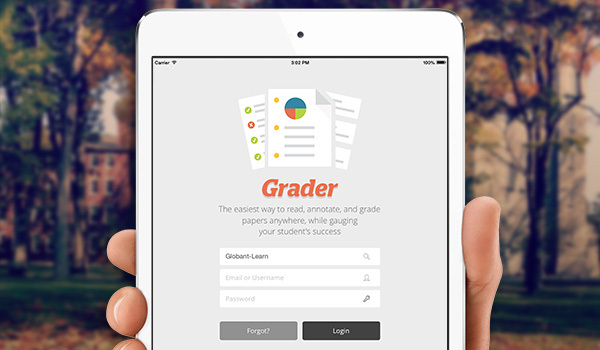 Bb Grader APP gives the Instructor the capability to grade student assignment submissions. Inline viewing of student submissions: Instructors can view a detailed list of all submissions to any assignment and can sort submissions based on a category of information. Support for audio-based and video-based feedback: When providing feedback to students, instructors also have the option of using the tablet’s microphone and camera to record audio and feedback. Seamless integration with Blackboard Learn: Instructors can select an individual submission from the Submissions Listing page to view a documents aubmitted to the assignment or to view content within the inline Content Editor. Stay on top of students’ progress: Bb Grader includes some features from Bb Learn Retention Center: instructors can view a student’s activity using the slide out on any submission listing page.